What happens when your teeth become chipped, cracked, or develop a cavity? Well, to avoid infection or possibly tooth loss you need a restoration. A restoration returns the tooth to full function and health. We actually offer a variety of different options, including dental crowns and fillings. Which one will best address your smile needs? Do you need a crown or a filling? Do I Need A Restoration? How do you know if you need a restoration? First, you may notice discomfort. Initially, there may be tooth sensitivity to hot or cold temperatures. Later, a toothache could develop. This could be a sign of a damaged or decayed tooth. Without treatment, symptoms could worsen as the tooth becomes infected. 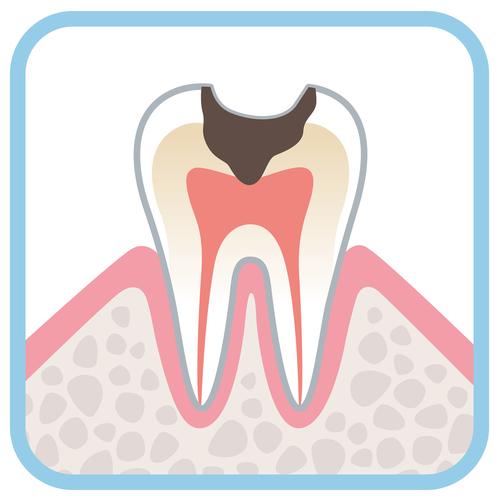 Soon, the tooth could require a root canal or possibly extraction to prevent the spread of infection. As a result, we urge people to see a dentist as soon as they encounter tooth sensitivity or toothaches. A dental crown is cap that fits over the visible parts of the tooth. They are made from a variety of materials, including ceramic, porcelain-fused-to-metal, and all metal. They protect the remaining tooth structure from further damage of decay and can also address issues with the color and shape of the tooth. Placement typically takes about two visits and the restoration can be expected to last for decades. We recommend this option for mote serious cases of decay or damage. In most situations this is the option we use to address a cavity. However, dental bonding can use the same composite resin material to fix chipped teeth or close gaps between teeth. The filling is a composite resin applied in several layers. Cured with a light, the restoration addresses decay and protects the tooth. The filling looks natural and can be placed in a single visit.